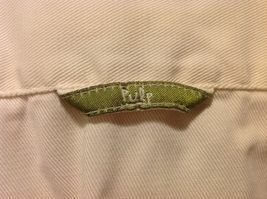 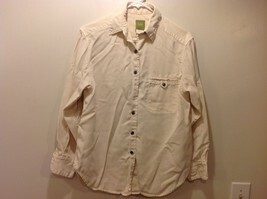 Ladies sand colored, long sleeve, collared, button-up shirt by 'PULP'. 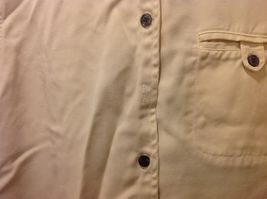 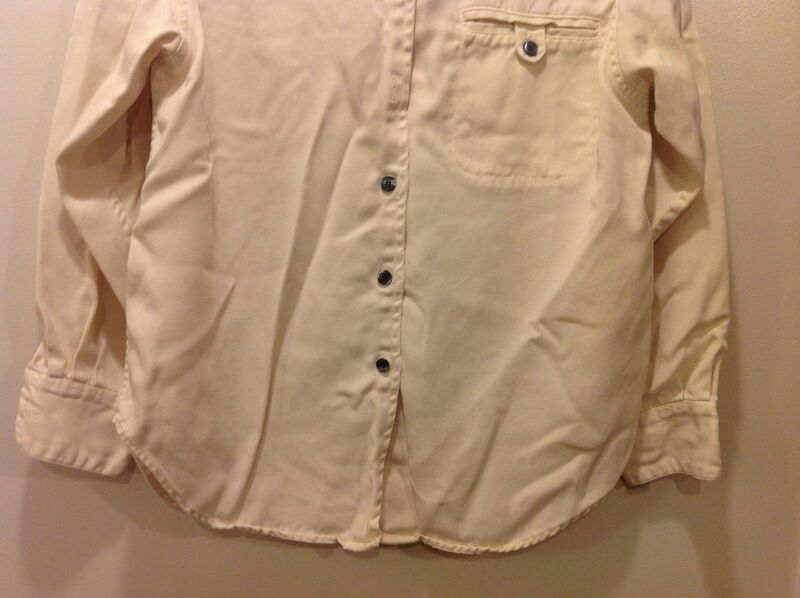 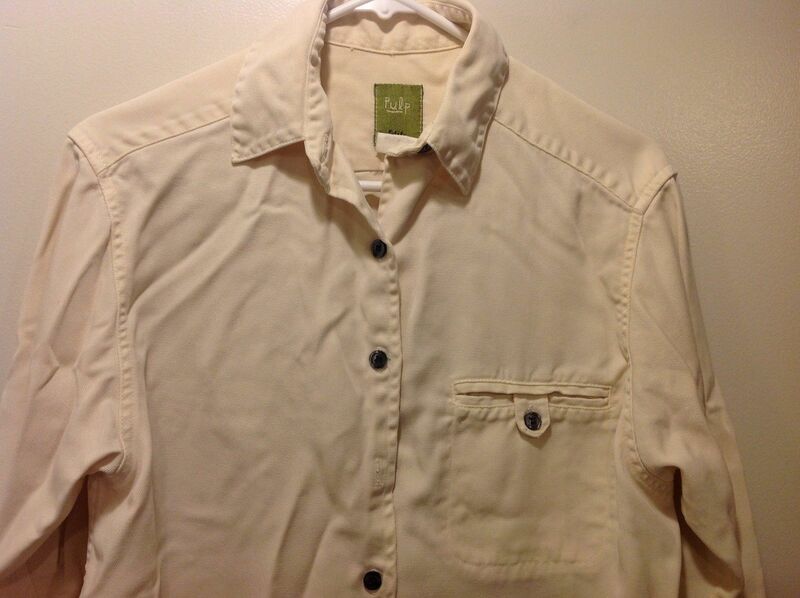 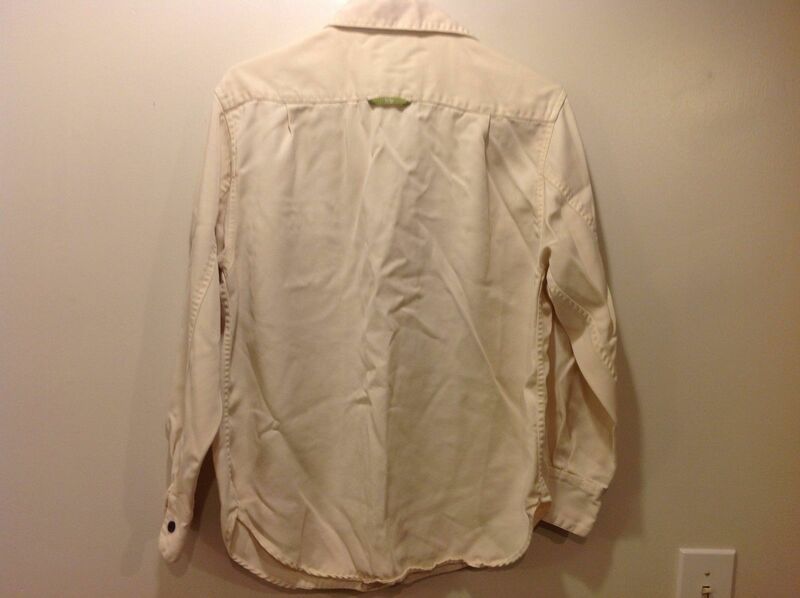 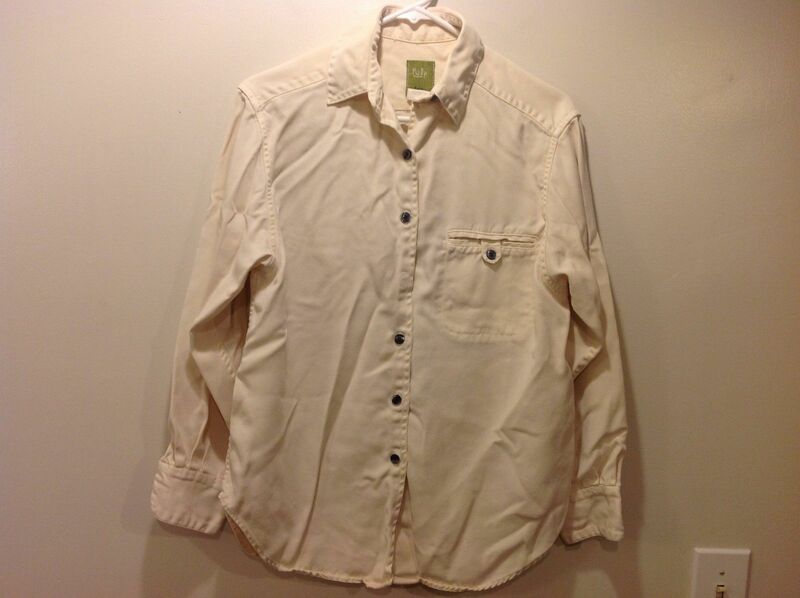 Shirt has single breast pocket; missing on button but is otherwise in great condition. 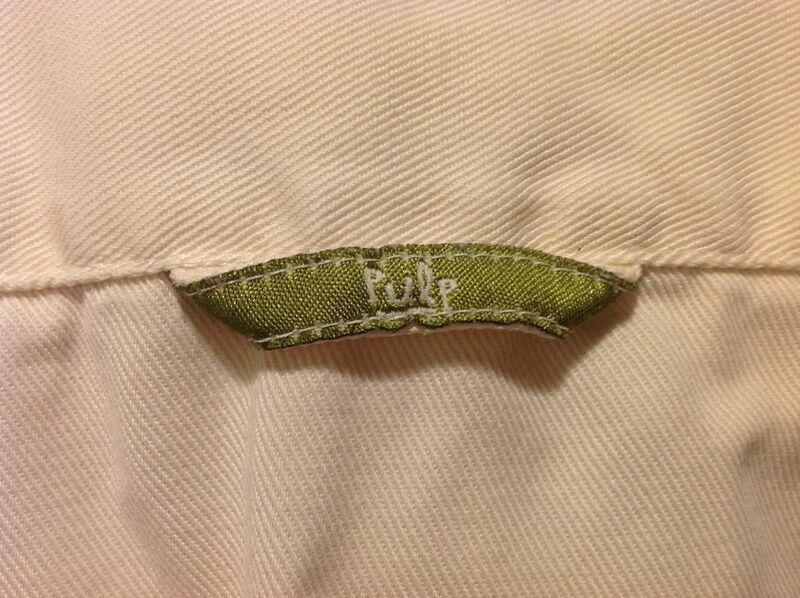 Material 100% lyocell, material is very soft. 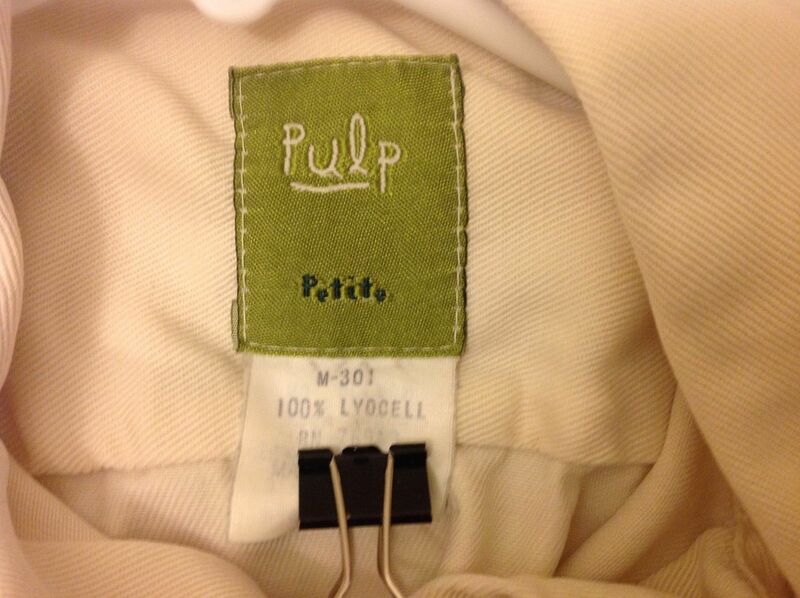 There are no tags, but according to the sizing chart, it would appear to be a petite large. Please check measurements to ensure it's the right fit for you.